Every journey has a starting point. For your customers, it all starts at your sign up forms and landing pages. They are your first impression and the points of entry that allow you to create a new, deeper level of communication with your audience. 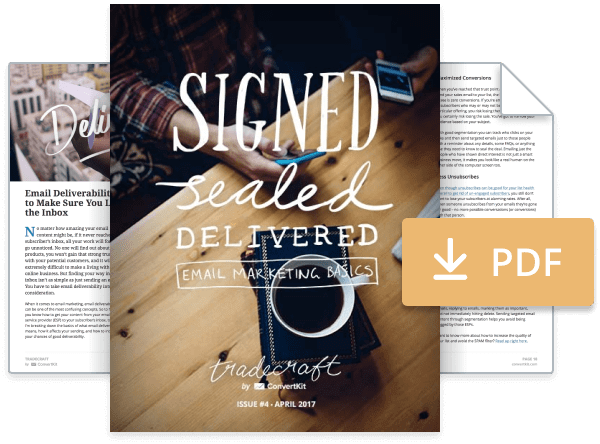 They are how you get permission to enter your subscriber’s inbox and the building blocks of a successful email list. We can help make your subscriber’s first step into your world seamless with our customizable sign up forms and landing pages. Every creator puts their own spin on their email sign up forms. Minimal or visual, long or short, pop up or slide in, the possibilities with forms are endless. Here are some of the top ways our creators use sign up forms and landing pages. Adding freebies (a.k.a. content upgrades or opt-in incentives) to the bottom of blog posts or sidebars of your site is a mutually beneficial way to grow your email list. Your subscriber gets something they need, and in exchange, you get their email address. I can set up a form to send an incentive in under 5 minutes with ConvertKit. With incentives such as quick printables, I've been able to grow my list to over 50,000 email subscribers! Don’t want to take up space on your page but still want to make sure your audience is getting everything they can from you? Try a pop up form. These friendly space savers let you choose to have your form show after a set period of time, once the reader has scrolled a particular percentage down the page, or if you’d prefer to wait until they show intent to leave the site. You have to have tools that help you create quickly, efficiently, and effectively. ConvertKit forms are hands down the most user friendly, yet most powerful asset I have in my arsenal. When you need a place to send your readers that keeps them focused on one task (sign up for a course, your newsletters, buying a product, etc), but you’re in a crunch– whether for time or lack of coding/design experience– a profile landing page is just what you need to move your engaged audience further into your online world. ConvertKit landing pages revolutionized my business. As a teacher who writes, I don't have time to master complex landing page software, but in a few minutes I was able to create a landing page to collect names of readers who might be interested in my products. Have an event or course coming up? A landing page is the perfect place to pull all your event-specific information together. That way your audience has one go-to space to learn everything they need to know before signing up. Whether you embed a login form or create full landing pages, we’ve created our templates to be responsive to any platform. Their simple, but beautiful design standard makes your content and offer the hero. Use our templates as a starting point and then customize everything from the colors, texts, and imagery to fit your brand. No complicated code required. Create custom fields to gather specific data points like their first name, last name, dog’s name, and more to help segment your audience and send them targeted content. The placement and appearance of your sign up forms can be tailored to meet the needs of your site and specific pages. Want a different pop up for each blog post? A static sidebar opt-in? A sliding form that shows up at the bottom of the page? We can do that! We even have multiple ways to embed your forms depending on your level of experience. Java Script? HTML? Zapier? It’s up to you. Our WordPress plugin takes the hassle out of adding forms to your site. You can add an individual form to a specific post for targeted content or you can set one form as the default for your whole site. Keep it generic or personalize the experience for every visitor - it’s up to you! Don’t have a website yet? No problem. You can create a landing page through our WordPress plugin or we can host your pages for you so you can start building your email list right away. Forms aren’t just for new subscribers. Use them to deliver free content to your email list. These incentives give your readers something valuable in exchange for their email address. It’s a win for you and for them! Set an incentive to be automatically delivered whenever someone fills out your form. All you need to do is upload the file in your account and we’ll do the rest. When someone clicks to download your freebie file, they are also double opting into your list. That extra confirmation means blocking spammers and better deliverability rates for you. Unlike some email providers that charge you every time a reader subscribes to a new form, we believe a subscriber should only cost you once. That means you can create as many incentives and forms as you want so your subscribers get what they want, when they want it. From there your subscriber’s journey sets off into an automation. It could be an email course, an educational series, or a sales pitch that might lead to a new loyal customer. However you use them to connect with your audience, automations are your hands-off way to create personalized, targeted messaging. Once they’ve filled out the form, you can control what they see next with a success message. Whether its a quick pop up message or you choose to redirect them to a custom thank you page, your subscriber will know you’ve got their information. Repeat readers? No problem. You can keep it fresh by swapping out content or hiding a form so it doesn’t keep showing up for existing email subscribers who return to your site. Our forms and landing pages sync with other tools you’re already using. 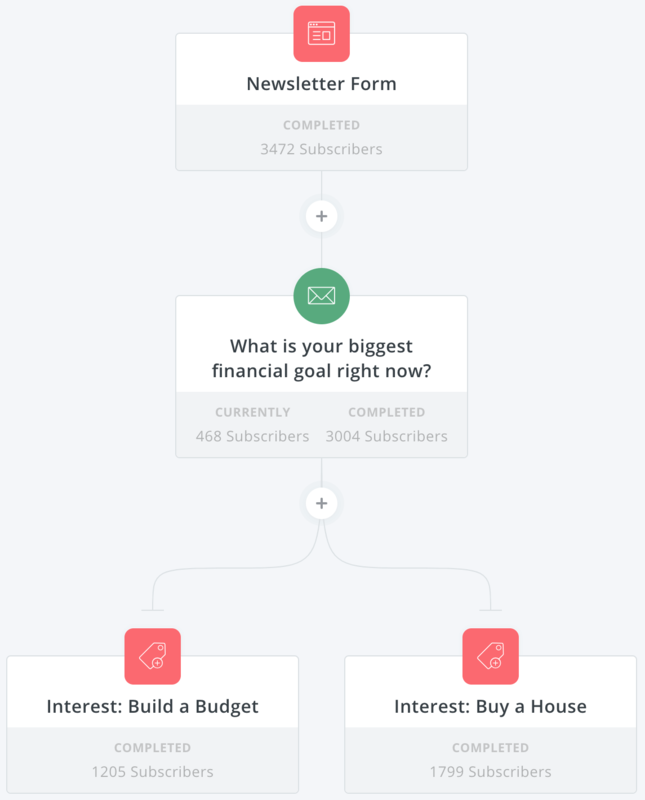 Connect with dozens of other form builders to create your ideal workflow. We’ve got you covered when it comes to protecting your subscriber’s data and privacy. We’ve made it easy to gather consent from all new subscribers. Don’t want checkboxes? Redirect visitors to a GDPR consent page. Did you know that your email provider might be charging you over and over again for the same subscriber? Instead of charging you every time a subscriber opts into a new form, we believe that a subscriber should be able to opt into unlimited forms and landing pages from you and only be counted once in your plan. It’s called being subscriber-centric, and it means you can create content upgrades that focus on creating a great experience for your audience without worrying about the cost. I love the forms and how well the incentive emails work as content upgrades. And all the statistics I get out the box are extremely useful! Ready to start connecting with subscribers? Sign up for a free trial of ConvertKit and make a great first impression with your first custom sign up form. Already have a lot of sign up forms? Don’t worry. If you have over 5k subscribers, we’ll move your forms over to ConvertKit for you for free, just request a demo.